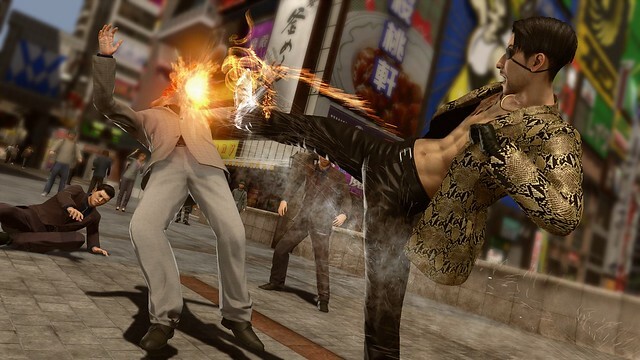 The Dragon of Dojima and Mad Dog of Shimano are heading to PS4 in North America. GameSpot has the story. On the heels of the Western release of Kazuma Kiryu's last chapter with Yakuza 6: The Song of Life, Sega has announced that we'll soon be able to relive the earlier days--Yakuza Kiwami 2 is coming to PlayStation 4 in North America on August 28, 2018. The Japanese version, called Ryu ga Gotoku: Kiwami 2, has been out since December 2017, but the localized version is now on the way. Kiwami 2 is the remake of the original Yakuza 2 that came out for the PlayStation 2 back in 2006 (Japan) and 2008 (North America). Yakuza 2 picks up one year after the events of the original game where Kiryu finds himself stuck in inter-clan drama yet again. Turmoil inside the Omi Alliance (rivals of Kiryu's own Tojo Clan), turns animosity into a war in the streets of series-long home Kamurocho. This is all thanks to a coup within Omi led by the main villain Ryuji Goda. The son of an old Tojo chairman has to return to the yakuza lifestyle to protect the families, with plenty of help from Kiryu of course. And the beloved, yet unhinged Goro Majima also has to pitch in to keep the clan afloat. Familiar faces like Makoto Date, Osamu Kashiwagi, Haruka Sawamura are central characters to the plot, alongside the Osakan detective Kaoru Sayama who makes her series debut to keep a sharp eye on Kiryu. This is only the setup for the rollercoaster ride that is Yakuza 2. A completely new addition in Kiwami 2 is a whole campaign called The Truth of Goro Majima where we get to play as the man himself and uncover how he became a construction business tycoon just before the events of Yakuza 2. Playing as Majima was a highlight in the prequel Yakuza 0, and fans got to peer into the personal life of one of the series' most distinguishable characters. Awesome. I am loving replaying these older PS2 titles on the PS4 and enjoying that it also encourages Sega to bring over the the brand new titles in a much quicker fashion then they are known for. Hopefully this also means Fist of the North Star in the future. Bought Yakuza Kiwami during a BF deal and still haven't played it. My backlog is ridiculous. Do it! Do it soon! It's just all-around excellent fun... although I have to say that I enjoyed "Yakuza 0" more, thanks to its more varied (and even more ridiculous) side stories. Also, playing a sane Majima was surprisingly enthralling!